If you are looking to add some more techniques into your clinical treatments then Myofascial Release Techniques is a great reference book. This fully illustrated manual shows you step by step instruction and pictures. It was specifically designed make Myofascial Release easy to learn. Treating the fascia can help you get even better results with your patients. 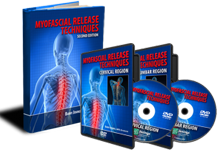 Myofascial Release for the Cervical Region DVD by Barry Jenings is easy to understand and practical. The techniques on this DVD will help you increase your success as a therapist and save your body too. Are you looking to add some extra and highly effective techniques to your practice? Are you feeling the wear and tear on your body at the end of the day? 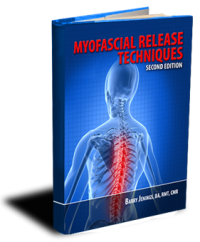 Myofascial Release for the Lumbar Region DVD by Barry Jenings is easy to understand and practical. The techniques on this DVD will help you increase your success as a therapist and save your body too. Being a great therapist does not guarantee that you will have a successful clinic. Join Barry though a personal account of what to do in business and more importantly what not to do. His candid approach to life and business makes "Marketing Your Massage Practice" a fun and incredibly informative read. With 20 years of experience he covers some of the most important essentials of running a successful clinic.